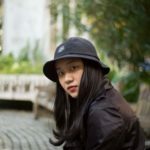 I Chi Liu, studentessa di giornalismo a Taiwan, che - a gennaio e febbraio - ha collaborato con Cittadellarte nell'ambito di uno scambio culturale. I Chi Liu, studying in Journalism in Taiwan, having a chance to take the internship for one month at Cittadellarte in January and February 2019. Here is an article about the Saisiyat, one of Taiwan’s indigenous peoples, living in the cities of Hsinchu and Miaoli, on the western side of the island: let’s find out their traditions (with a focus on the rite of the pas-ta’ay) through the narration of I Chi Liu, a journalism student from Taiwan who has recently collaborated with Cittadellarte in the context of a cultural exchange.